After yesterday’s longer blog post, today’s one is going to be a bit shorter. 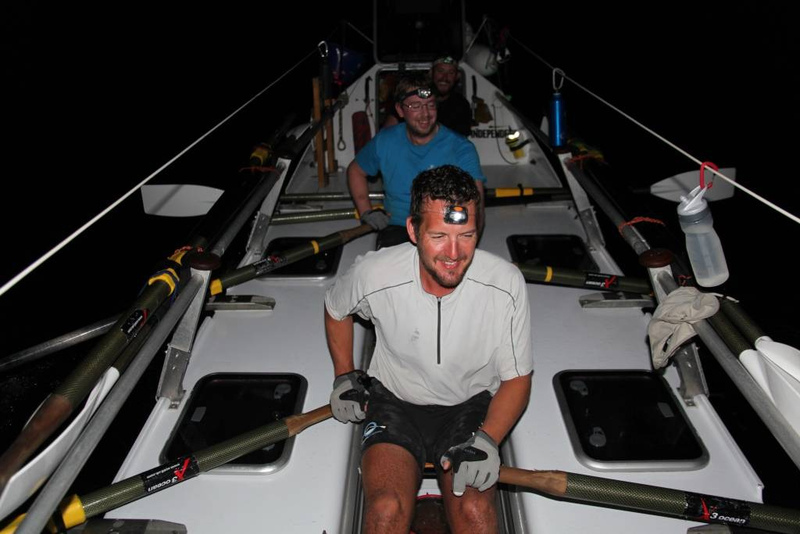 The weather conditions haven’t improved and the guys are facing a real challenge in speeding up the boat. Check out the Live Updates to see where they are at. Everyone is doing well though and spirits are still good. They have only dropped behind on the World Record scheme by a few miles. The heat is increasing and the exhaustion is setting on, but the humour is still on board. Listen to Matt’s 26th pod cast about increasing temperatures, understanding that everything will come to pass and high spirits: http://embed.ipadio.com/embed/v1/embed-352×200.swf?callInView=99071&channelInView=&phlogId=41329&phonecastId=123869.